In 1721, the letters of two imaginary Persian travelers, Usbek and Rica, caused a sensation in France. Creatures of the fertile mind and pen of the great philosophe, Montesquieu, they came to epitomize the hazards of being a naïf in the great capital of Paris. 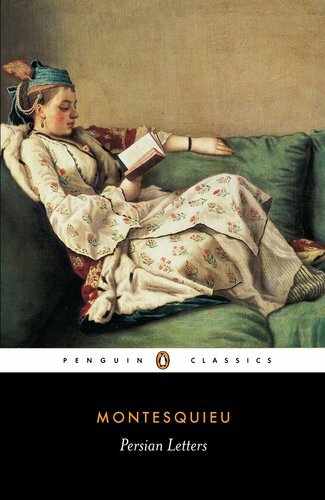 Not only were they subjects of curiosity and scorn because of their foreign ways, but their innocent questions about French customs, manners and politics amounted to a scathing, satirical social critique. Attempting to minimize the blowback he knew was coming, Montesquieu wisely published The Persian Letters, his first best-seller, in Holland. I learned about Usbek and Rica when I read of their travails in a literature class at the Sorbonne. Young and self-conscious about my own “Americanness” I laughed and sympathized with Rica when he complained: “If I went out, everyone stood at the windows; if I was in the Tuileries, I immediately became the centre of a circle….It made me smile sometimes, to hear people who had hardly been out of their rooms saying to each other: ‘You’ve got to admit, he really does look Persian.’” Like the two Persians, I adapted the strategy of trying to blend in, to dress, eat, act and become Parisian. Also like them, my success was only partial. And after decades of coming to Paris, every time I return I am in some way again the bumbling innocent, needing to learn the ways of Paris once more. For our writers’ workshop in fall of 2012, for example, my colleague Linda Watanabe McFerrin and I decided we wanted to rent apartments to house our writers. Over the years, I have happily adapted to many types of lodging: a well-appointed pension; the guest room of a friend’s flat; shabby student quarters; a cozy pied-à-terre; the couch of an artist friend’s studio, where I awoke to gigantic cartoon creatures parading on the walls; and hotels up and down the economic scale of stars. I had not actually, however, rented an apartment myself—and was foolish enough to believe it would be a breeze. The first clue that this exercise might be tricky came with the realization that to obtain the number of apartments we wanted (three) in the neighborhood we wanted (the 6th arrondissement) with enough space for our writers (lots) was going to require dealing with three different agencies. 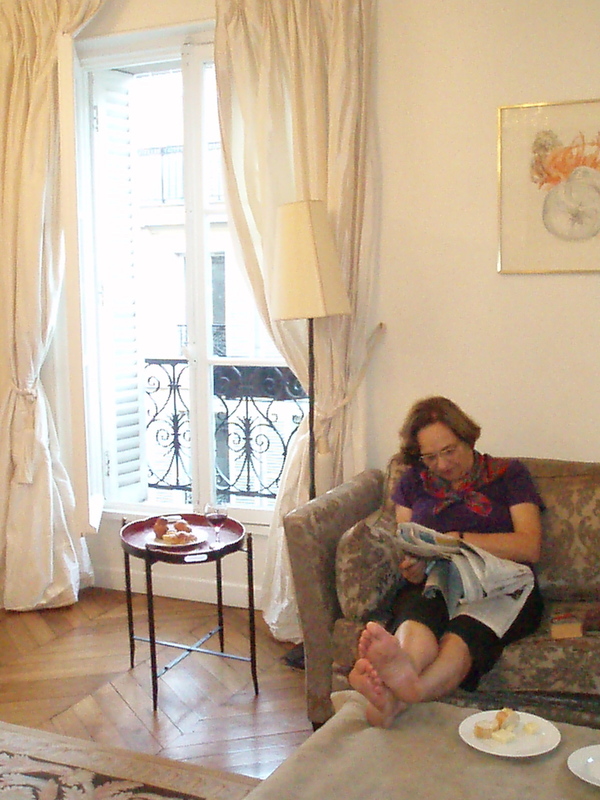 That was because no single agency had enough apartments in the Saint-Germain neighborhood to fill our bill. After days of scouring the availabilities cheek by jowl online, Linda and I found what seemed to be all we were looking for—and clicked on the magic “reserve” link, thinking that after putting in the requisite sales information, we were in the clear. But of course, the fun was just beginning. Each agency had different requirements, and they all had a slew of deadlines for returning paperwork and, importantly, sending money. Eventually we jumped through all the hoops, and despite nagging fears about our final payment arrangements, thought once again we had secured all three apartments. It was at that moment that I made the fatal mistake of asking each of the agencies if we might have extra keys, thinking that only one or two keys might be difficult for several occupants. At that point, only a month before departure –and far too late to be apartment hunting–one of the owners decided a group of unrelated women writers would be too rowdy and high-risk as tenants, and kindly suggested that the solution was for us to find a different apartment. She did not mention the considerable amount of money we had already sent her. And the agency, giving us a different “contact person” with each frantic query, began sending us to links to other flats, some decked out in nouveau cat-house décor, some of them in the Parisian equivalent of Siberia. I wondered what Usbek would have done. Perhaps what we threatened to do: write letters home. Or at least, the modern equivalent–tell all on Internet travel sites. Finally the agency decided to put someone on our case who could actually solve the problem, and once again we were on cozy terms with the landlady. Relieved, we thanked the young man and said we hoped we’d be able to meet for coffee once in Paris. He replied that would be very nice, but difficult, as he actually lives in Lisbon. The final hurdle to our eventual status as proud tenants of three apartments in the 6th arrondissement was a cash conundrum I thought I had solved by negotiating with our bank before leaving. It seemed that two of the agencies required the final payment and the security deposit in cash, to be handed over in person upon occupancy. I could hardly imagine stuffing our carry-ons with thousands of Euros and trying to smuggle them through customs. Nor did I picture myself skulking around Paris like a bagman with sacks of money. But cash on the barrel was what the owners required and all pleas for safe and sane money transfers, credit card payments or even old-fashioned travelers checks, were denied. Our bank, which has ties to a sister bank in Paris, assured me that there would be no problem withdrawing the Euros once there. On the appointed day, I went to the bank with all the requisite documents and made my request. After consultations, the helpful young bankers assured me there would be no problem. All I need to do was to use one of the money machines in the lobby and withdraw the Euros on our account. Which I did—up to the 200 Euro limit imposed by the machines. The helpful bankers shrugged, indicating what I already knew: If the machine says no, no more money can be withdrawn. Linda and Joanna searching Paris for bags of cash. Of course, once inside the apartments, we had a whole array of novelties to conquer, too. It seems French engineers are very busy adapting centuries-old buildings to bring them into the 21st century through creative appliance design. One of our apartments, for example, had an oven-microwave combination that seemed quite a splendid idea, except that no one could figure out how to turn either on. The apartment we shared with Laurie King also had some features that could win prizes for originality, even if functionality lacked a certain je ne sais quoi. The tiny bathroom, for instance, had a very tiny washer-dryer combo, which would hold about two tiny towels and a washrag at once. Since we had lots of wet towels and many people coming to our flat every day, we thought it worth the effort to try to wash them. Gallant Laurie, a whiz at these matters, agreed to try, and together we decoded the instruction manual. But even Laurie couldn’t figure how to actually get from the rinse to the dry cycle, and after about a dozen washes of spectacularly clean towels, we gave up and hung them to dry on a ladder in her room. As for the kitchen—what can one really say about a sink jammed next to an electric stove top below which resides the ultimate must-have latest appliance: the indispensable oven-dishwasher duo? Usbek, Rica, are you with me on this? My phantom Persian friends might also have been slightly bewildered, as I was, when trying to find common-place items in their normal venue. One day, for instance, I wanted to buy post-card stamps. Old veteran of Paris that I am, I immediately headed to a tabac, or tobacco store where stamps are traditionally sold. The vendor told me, however, that such exotic products as timbres à l’étranger—stamps to go overseas—were no longer part of his repertoire. For these, I would have to go to an actual post office. Once inside my local poste, I surveyed the coffee mugs, shirts, stationery collections and complicated financial products but saw precious few actual stamps. So I stood in a slow-moving line and finally asked the clerk for post-card stamps to send overseas. Immediately I saw this was a difficult request; she admitted they did carry them, but where? This would require a search upstairs, she said, and promptly closed down the queue leaving me at the head of a line of very unhappy stampers. At least on the post office front, despite causing the locals to think unpleasant thoughts about foolish foreigners and their need for stamps, I did come away victorious—and mailed my postcards. But venturing to the bank for change proved a greater challenge. When I went to my bank, I found my still friendly, helpful clerks and asked if I might get change for some large bills. They looked at me as if I were a creature from Mars, perhaps, or Persia, or maybe even California. I mumbled my condolences, tucked in my too-large bills and turned away, deciding against her suggestion to locate a bank a half-hour away that still might practice something as arcane as cavorting with cash. When Usbek and Rica leveled their deadpan observations about Parisian customs, their rebukes were the most stinging when suddenly exposed, Parisian life seemed absurd. But in the centuries since, Absurdity has been elevated to a philosophy linked to the rise of Existentialism that was born in the cafes of Saint-Germain-des-Près. In a flash it all came to me, and I laughed out loud. Of course. I was the person who kept calling and kept asking cabs to come and deliver me to a certain address and then a half-hour later called again from the same place asking for another delivery. I was the foreigner who never arrived at her destination—and who never went away. In our apartment only blocks from Deux Magots and Café de Flore, I found my own way into the stream of Parisian Absurdity that would have made my Persian fellow-travelers proud. What a beautiful piece of writing! 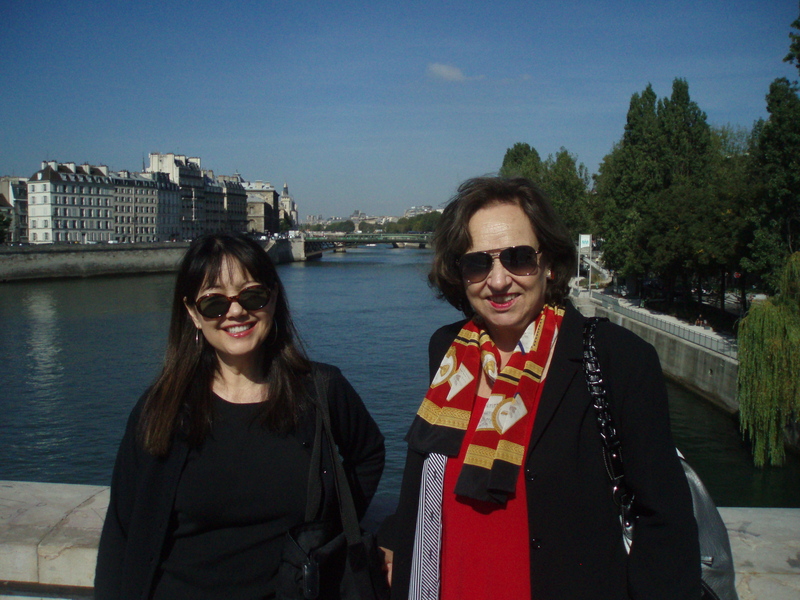 It makes me want to be strolling along the river in Paris right this minute, thanks for sharing your experience!